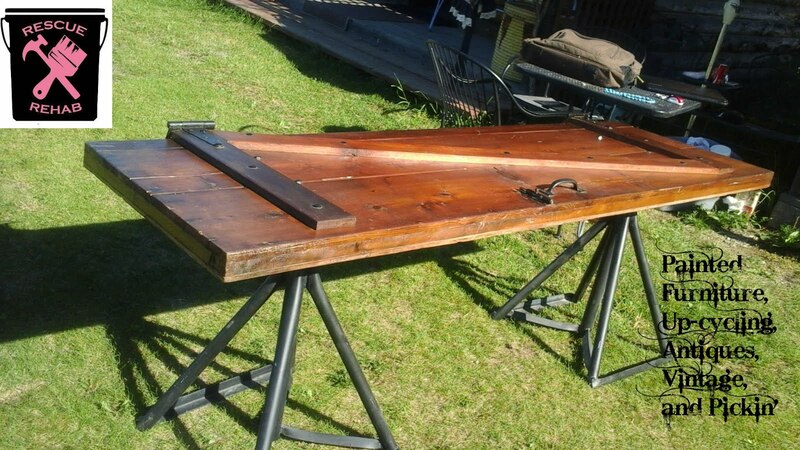 A while back I painted a bed frame for a customer. 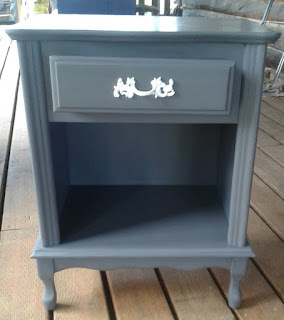 I used Americana Decor chalk paint in a gray color. We were both pretty happy with the way it turned out. 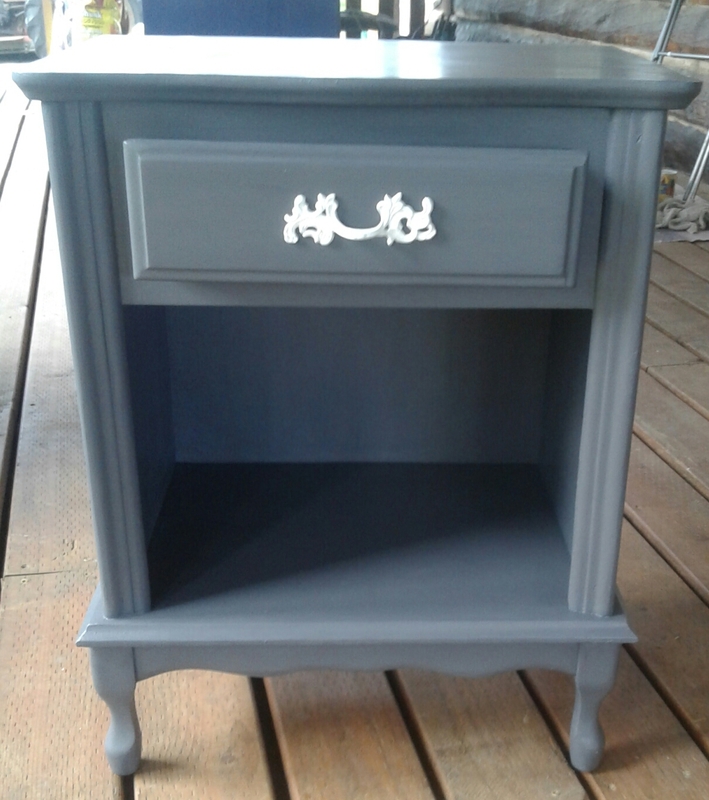 When she found a nightstand that she liked, she asked me to paint it to match. 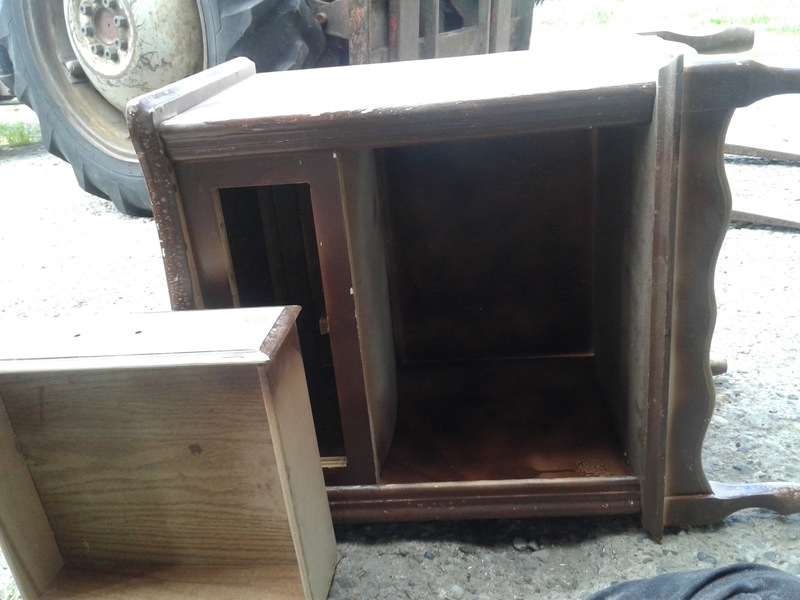 The little nightstand was painted brown, but as I removed that paint, I found that the piece was one of those gold and white french provincial style pieces. Wow, there are so many of these still floating around! This one had the dreaded plastic legs. Actually, they aren't bad to paint, you just don't want to use stripper on them because it causes pitting. I painted the pretty handle white for a nice contrast. Now this little piece matches the bed in my customer's guest room.